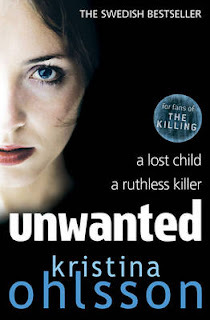 Kristina Ohlsson's first novel, translated as Unwanted in English, takes some interesting angles on the standard police procedural. 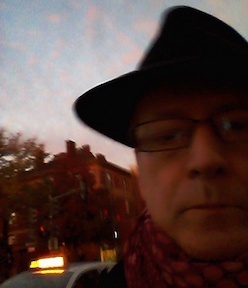 At the beginning, the leader of the investigative team, Alex Recht, seems to be the main character. But gradually the reader's interest and the motion of the plot shift to another person, Fredrika Bergman, who is a civilian academic working on the police team (judging from a couple of recent Swedish crime stories, this must be common in Sweden). Recht and his younger assistant, Peder Rydh (who is in his own mind the ace detective of the unit, at least at the beginning) discount Fredrika's abilities because of her civilian status as well as plain old sexism. In fact, one of the interesting characteristics of the novel is the abuse, mental as well as physical, exerted by almost all the men in their personal relationships. Partly, this aspect of the book is a generator of red herrings, since the person they are tracking is clearly an abuser of women. But it seems to be a deeper point, made more subtly than in the Dragon Tattoo books, about men's attitudes, even in the supposedly enlightened land of the midnight sun. The story begins with the disappearance of a young girl from a Stockholm-bound train, while her mother is distracted by a phone call. The husband and father is immediately and obviously the main suspect, with only Fredrika willing to keep her mind cracked open enough to see other leads that need to be followed up (and there is some obvious telegraphing of the plot as the story shifts over to her point of view--plainly she's going to be proved right at some point). There is also a large plot point that will be quite obvious to the reader long before anyone, even Fredrika, figures it out. But the procedural format frequently includes that sort of dramatic irony, so I don't really fault the novel on that point. Karen at Eurocrime makes the point that Alex, supposedly a star on the police force (at least he is in Peder's mind) doesn't really demonstrate anything that would give him that status--he's as dense as Peder most of the time. The English title refers to a word written on his victims by the perpetrator of the crimes; the Swedish title, Askungar, actually means, literally, "ash children," or "Cinderellas" and both words have resonance in the plot. In English, though, Cinderellas would have been a misleading title, at least here in the land of Disney. The UK. 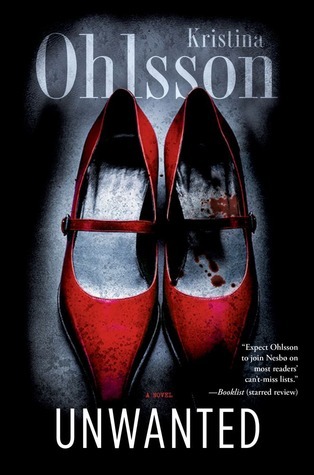 cover, showing a young woman's face, is certainly apt, but the U.S. cover, showing the same red shoes as the original Swedish cover (though in a different design) has an interesting relationship to the story that's missing from the U.K. cover--one might think they refer obliquely to the young kidnap victim's shoes, abandoned on the train, but they don't, and the misdirection makes their actual significance more interesting. I liked Unwanted, though it's perhaps not as good overall as a book I was reading at about the same time (the newly translated Nina Borg book, Invisible Murder, but Kaberbøl and Friis, which is difficult to compete with) but it's a good sign that a first novel by a Swedish crime writer has been translated very soon after its original appearance in Sweden: more please, not only of Ohlsson but of other new Scandinavian crime writers (and in the order of their original publication, please).